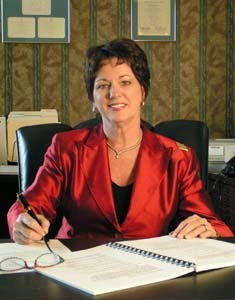 Calvina L. Fay is the executive director of Drug Free America Foundation, Inc. and Save Our Society From Drugs (SOS). Drug Free America has been granted “Special Consultative Status” as a non-governmental agency (NGO) by the Economic and Social Council of the United Nations. It provides education to the public, on the national and international levels, about the dangers of drugs of abuse and efforts of drug pushers to legalize drugs. SOS conducts political activities to combat drug legalization efforts. Professor Fay is also the founder and director of the International Scientific and Medical Forum on Drug Abuse, a brain-trust of the world's leading physicians and scientific scholars dedicated to advancing research of drug use and drug abuse. Professor Fay is the former executive director of the Drug-Free Business Alliance (DBA), a Houston-based non-profit coalition of member businesses involved in attacking the drug problem in the workplaces of the Texas Gulf Coast area. DBA has served as a model program for other U.S. cities and in several other countries. Professor Fay has been an outspoken advocate against the legalization of drugs for over 20 years. She was a founding board member of SOS. She is the former president and board member of Drug Watch International, a network engaged in combating the drug legalization movement globally. Professor Fay has over 25 years of experience in the drug prevention field and is considered a pioneering expert on workplace drug abuse prevention programs. She has researched and/or authored several books, including The Supervisor's Handbook For Preventing Drug Abuse in The Workplace and Starting a Drug-Free Business Initiative, as well as numerous newsletters and publications in the field that have been published at regional and national levels. Professor Fay has also made many appearances on national and local television and radio programs. She was the managing editor and a co-author of A Report on Employer Attitudes and the Impact of Drug Control Strategies on Workplace Productivity. She also served as the managing editor of a monograph titled Drug Abuse in the Decade of the Brain following an international conference that she organized to examine scientific evidence relating to the harms of drugs to the brain. Professor Fay has founded, built, and sold two successful businesses and was named the 2008 Tampa Bay Area Business Woman of the Year for the non-profit sector by the Tampa Bay Business Journal. She is also the recipient of the 1993 Directors Community Leadership Award from the F.B.I. and the 1998 Exemplary Efforts in Drug Prevention award from the Drug-Free Business Alliance. In 2008, she received special recognition from then President George W. Bush for her exemplary efforts in drug prevention. She is also the recipient of the 2009 President’s Award from the National Narcotics Officers Associations Coalition. She holds a Masters in business administration and is qualified by the courts as an expert witness in drug-free workplace programs.